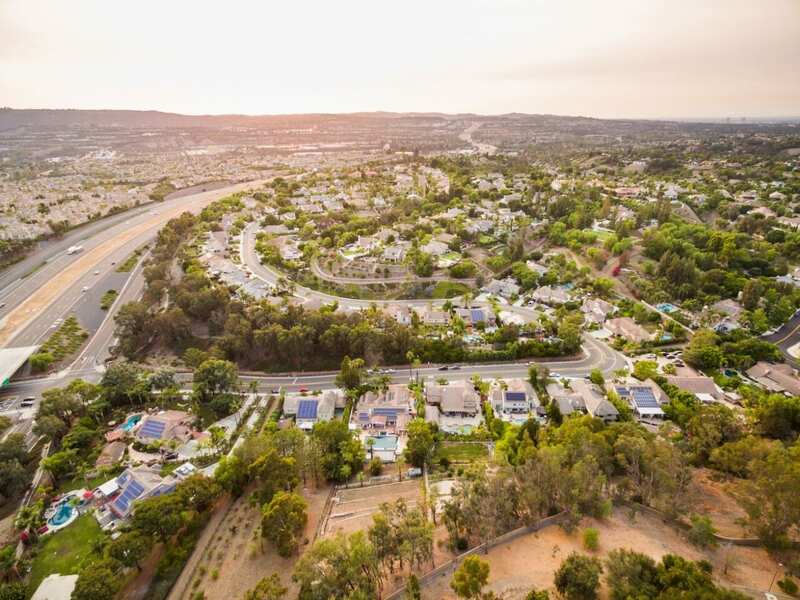 This Spanish/Mediterranean Single level sits on close to an acre of private land, conveniently located off the 73 tollway and within walking distance to shops, restaurants and movie theater. 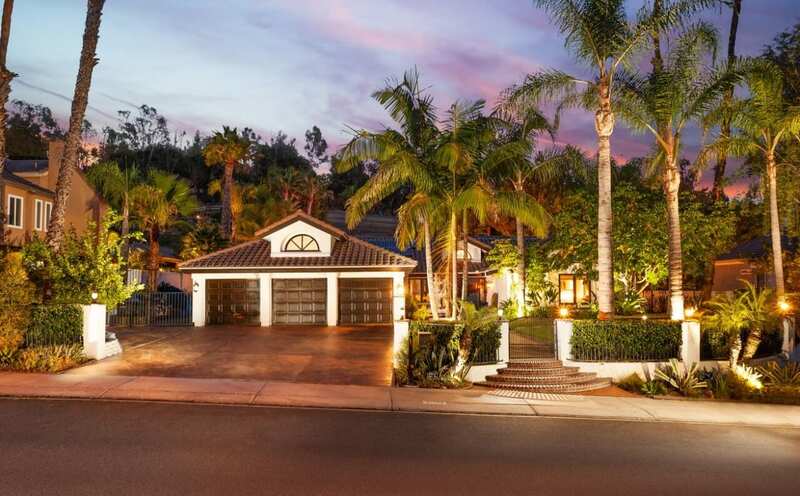 The quintessential indoor/outdoor living home with a spectacular newly remodeled “oversized” saltwater swimming pool, spa and waterfall, a private 1200 sq ft. Casita and covered dining area’s. The back hillside is terraced and includes a kids playground, fitness station, greenhouse and a custom built, heavy wood stair structure. The main house has 4 beds/3.5 baths, High ceilings in the foyer and great living room with all new hardwood doors that open up to the patio/pool. 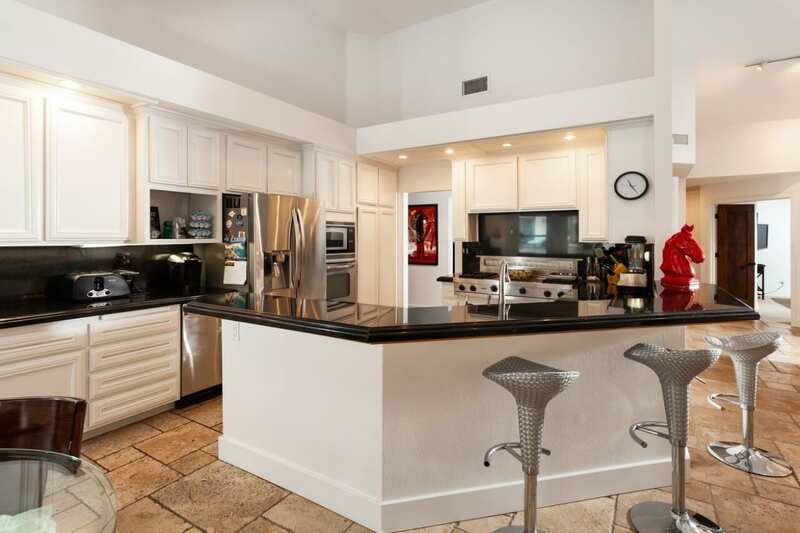 Tumbled marble floors throughout including the large open kitchen and family room. The large master suite with fireplace offers a generous master bath with soaking tub and walk-in shower. The Casista includes three rooms, a master bedroom, newly remodeled Bath with steam shower and a dining/kitchette with fireplace. Landscaping is extensive and is primarily drought resistant succulents. 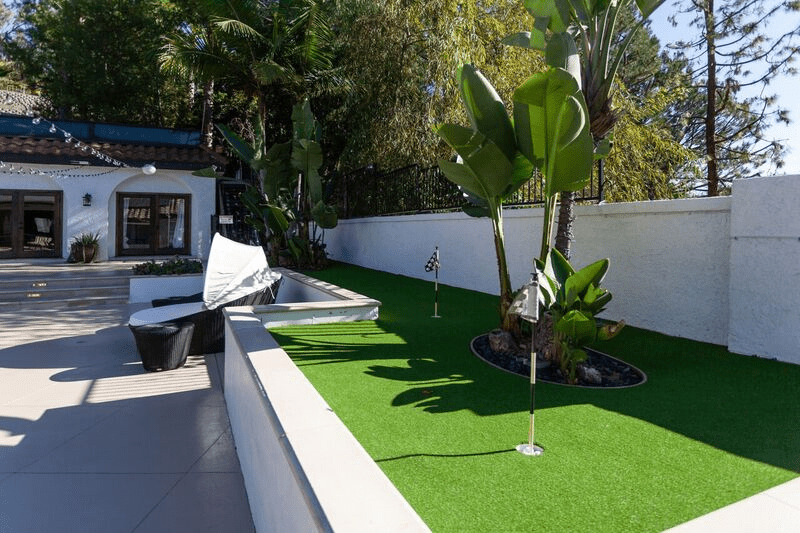 A private putting green and artificial turf dog run is gated as well. 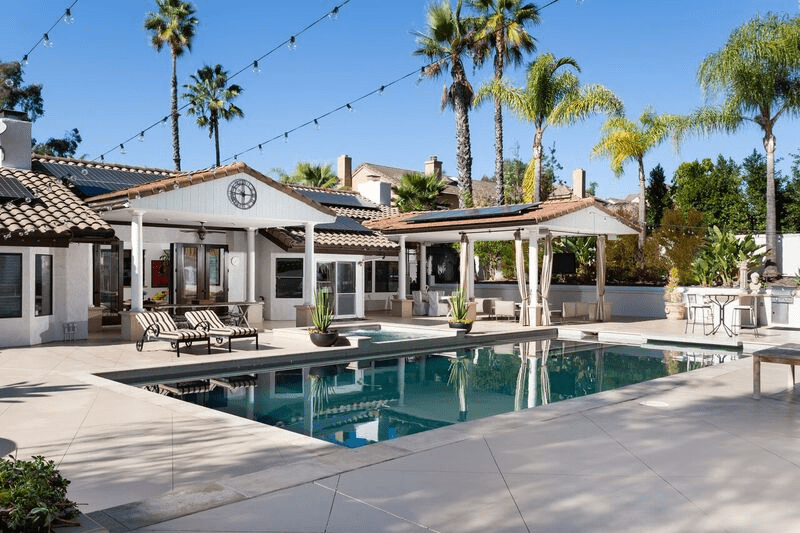 Home includes a surround sound system for movie watching and a wireless Sono’s sound system throughout the main home and patio for your listening enjoyment.